For the first time in the South African Music Conference's ten-year history attendees will not have to pay to attend and will be taken straight to the masses of Kwa-Zulu Natal. "The City of Durban and the Department of Arts & Culture’s partnership has made it possible for interested parties to attend the event that usually cost R500 for free . Interested parties will have to reserve their places, on a first come first served basis, by sending a confirmation e-mail to info@djusa.co.za. Space is limited, says spokesperson Mandla Motau. This year’s conference will be taking place from 3- 6 July 2014. 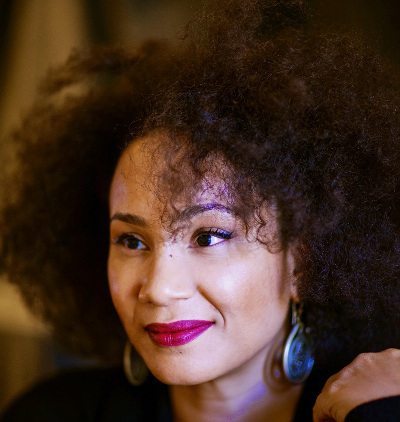 According to a statement speakers at the conference will include International names such as Ralf Gum (Germany/SA), Rocco (France), Monique Bingham (USA) (pictured), global superstar BlackCofee, DJU, Afrotainment head DJ Tira, Umlazi’s Big Nuz, Professor, DJ Zinhle, Cndo and more. Workshops at the conference will include topics like “producing”, “taking advantage of the digital world”, “treating one as a brand”, “the female touch“. The conference will also include the Mother of All Parties concert. This year’s event will be divided into two stages at Kings Park Stadium. The one stage will feature International names such as vocalist Monique Bingham (US), Rocco (France), Ralf Gum (Germany), DJU, Zakes Bantwini, DJ Siyanda, DJ Sox, Ukhozi FM DJs and more. The second stage will be a DJU celebrates 20 Years of Kalawa Jazmee Records stage. This platform will see Kalawa Jazmee acts such as BOP, Mafikizolo, Bongo Maffin, Uhuru, Professor, Black Motion, Trompies, Dr Malinga, Mahoota vs Vetkuk, Heavy K, Character, Busiswa, DJ Zinhle, Tzoz, DJ Pepsi, Nokwazi, DJ Bobsta and more stable mates hitting the stage.